put to sleep just five weeks short of her fifteenth birthday. Her body was rapidly shutting down, and she had developed an infection that her body could not fight. It would have been cruel not to let her go, but the final decision is never easy. 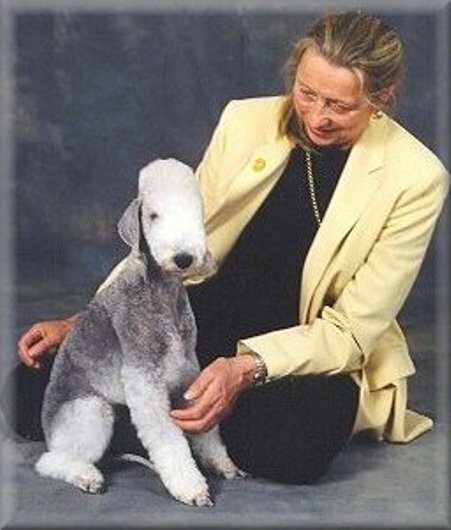 She was a very special dog, our first true show dog and our first champion. She was mother to our most successful dog Ch Bisbee Benvenuto -Gypsy- and Grandmother to six other champions.We love you Dimple and we will never forget you.